What makes a 1911 accurate? 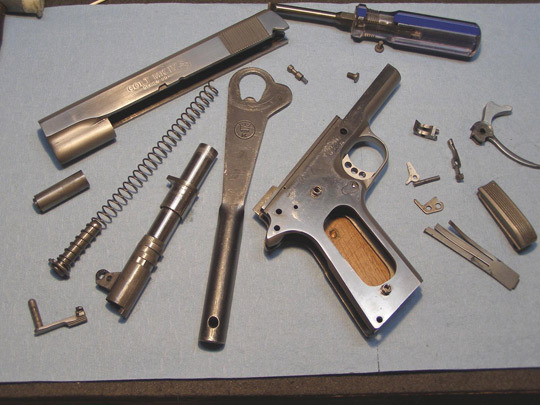 At Angus Arms, we have 30 years of experience repairing and rebuilding 1911 type pistols. A common customer complaint, especially with older guns, is poor accuracy. The 1911 was designed primarily as a fighting gun but is readily converted to an accurate target pistol that will outperform other semi-automatic handguns. 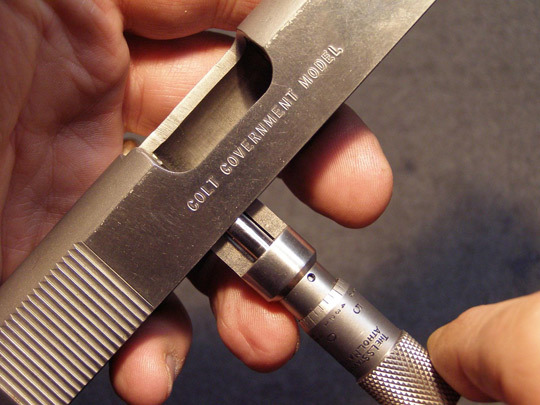 Most 1911s are produced with drop-in parts and tolerances are generous to eliminate the need for hand fitting. 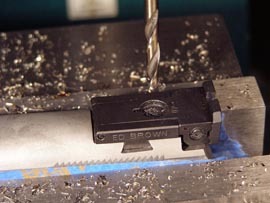 90% of mechanical accuracy (assuming good ammunition) is barrel fit to the slide stop, locking lugs and barrel bushing. Consistent lockup is key to small groups and handfitting an oversized match barrel and bushing is the biggest single accuracy enhancement available. Improving slide to frame fit should be included as part of barrel fitting but will not yield a significant improvement in accuracy as a stand alone modification. 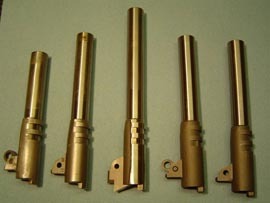 A basic accurizing package will include fitting a match grade barrel and bushing, tightening the slide as needed and test firing. A big advantage of the 1911 compared to other pistols is its trigger and the potential for tuning it to adjust takeup, overtravel, pull weight and length. A correctly fitted pistol should position the pad of the shooter’s trigger finger squarely across the trigger face so it is pulled straight to the rear without any side pressure. 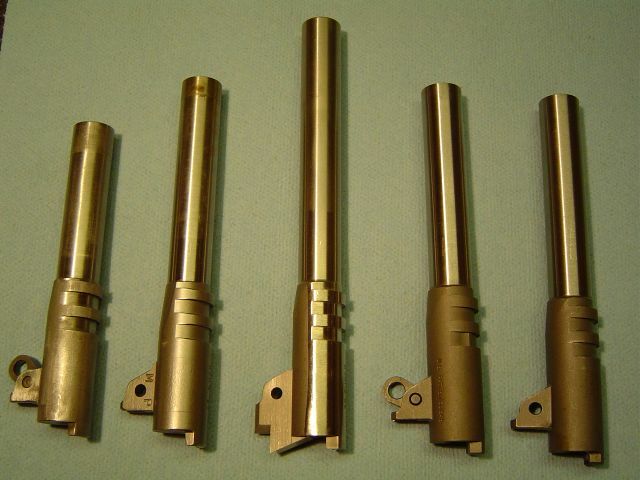 Triggers are available in short, medium and long lengths. A good trigger breaks consistently shot after shot and the sear must be carefully hand fitted to the hammer hooks for proper engagement. 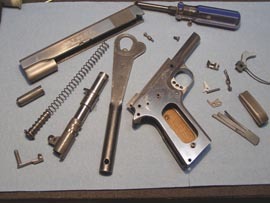 A standard trigger job includes fitting an oversized trigger to the frame if necessary and refitting or replacing parts as needed to achieve the desired pull weight. All trigger jobs are test fired. Obviously, the shooter’s ability to see the sights is critical. Unfortunately, none of us are getting any younger and as our vision degrades over time the small factory sights on some pistols may need to be replaced with higher visibility models. At Angus Arms we install a wide variety of combat and target sights to suit just about every need. Replacing factory sights may involve machine work. Sight installations are test fired to verify zero. Other modifications are available such as undercutting the front strap to raise the shooter’s grip, fitting a beavertail grip safety, lowering and flaring the ejection port on older slides and fitting extended thumb safeties.